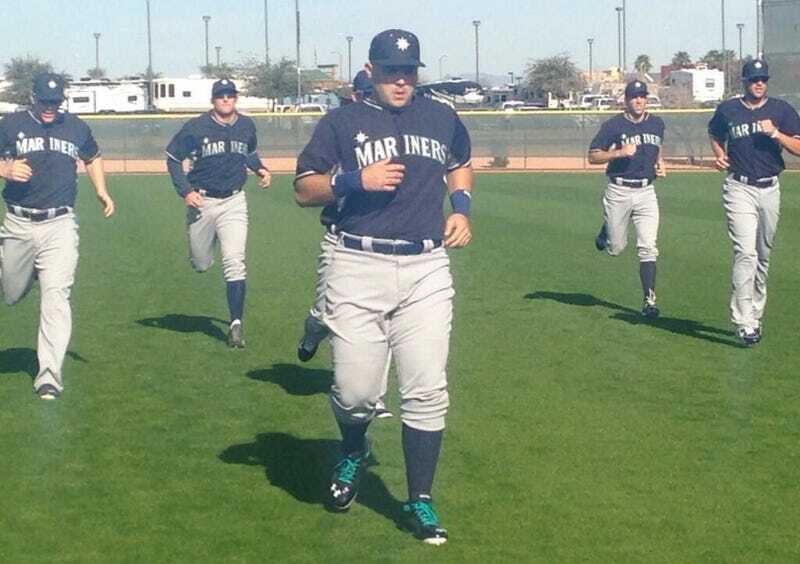 Fat Jesus Montero On His Offseason: "All I Did Was Eat"
Once-hot catching prospect Jesus Montero, who was shipped to Seattle by the Yankees in exchange for Michael Pineda (as of two years later, it seems like one of the fairest trades ever made), is now trying to salvage a big-league career. He's not doing a very good job of it. "After winter ball, all I did was eat." Patience is wearing thin in the Seattle front office, as thin as the seams of Montero's valiant pants. Manager Lloyd McClendon said he told Montero, "It's time to put up or shut up." That was downright word-mincing compared to GM Jack Zduriencik, who told reporters, "I have zero expectations for Jesus Montero. Any expectations I had are gone."